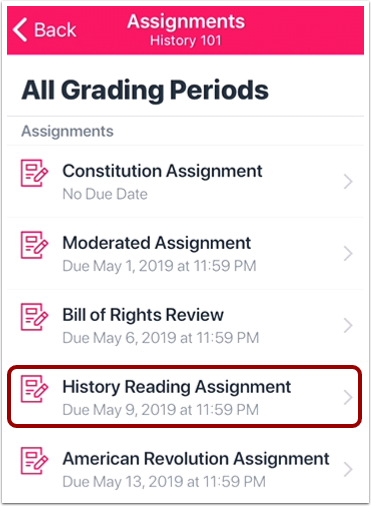 How do I verify my assignments were submitted in the Student app on my iOS device? 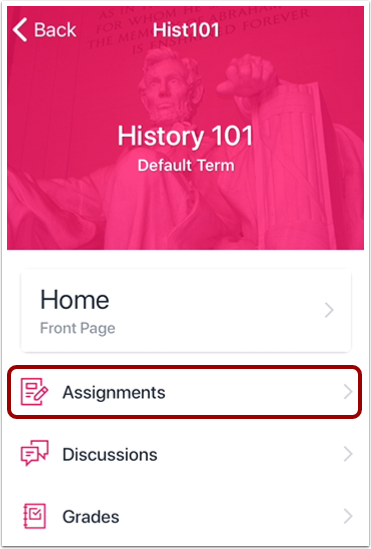 If you do not have any assignment submissions, you can turn in your assignment by tapping the Turn In button. 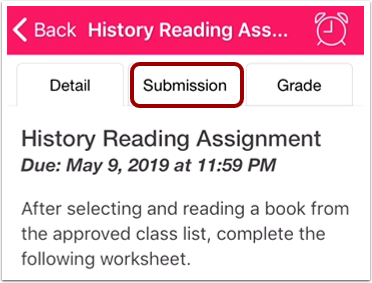 Previous Topic:How do I resubmit an assignment in the Student app on my iOS device? 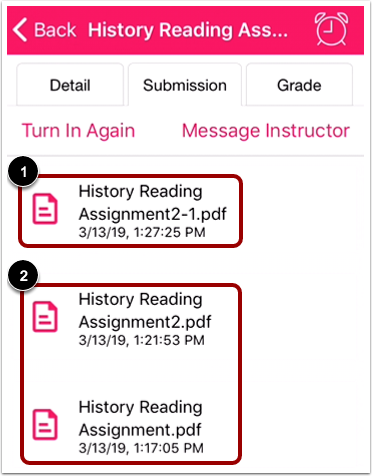 Next Topic:How do I view assignment comments from my instructor in the Student app on my iOS device? Table of Contents > Course Features > How do I verify my assignments were submitted in the Student app on my iOS device? 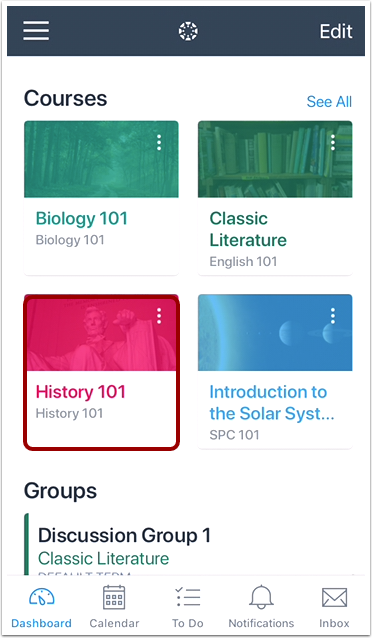 Would it be possible to add a section to this lesson (and to the corresponding one for Android) that shows students how they can access their previous submissions to an assignment?